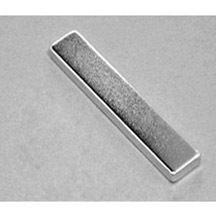 The SMBN0574 BLOCK neodymium magnet is made from high performance N52 NdFeB, with Nickel coating. 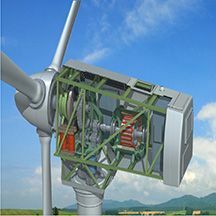 The dimension of this item is 1 1/2" × 1 1/2" × 1 1/2" thick, magnetized Through Thickness, with tolerance of ±0.004" × ±0.004" × ±0.004". 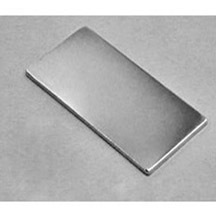 The weight of this super strong neodymium magnet is 0.9125 lbs. 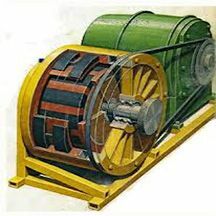 It can pull up to 238.2 lbs steel. And the surface field is up to 6451 gauss. 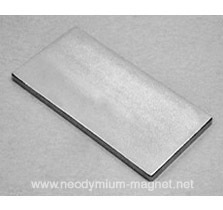 The smbn0574 neodymium block magnet has a very strong attractive force. 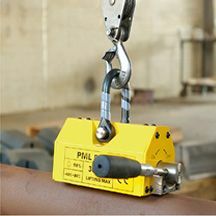 Unsafe handling could cause jamming of fingers or skin in between magnets. This may lead to contusions and bruises. 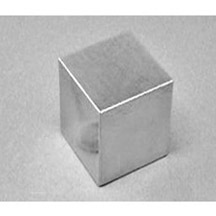 You should always wear heavy protective gloves and eye protection when handling the smbn0574 neodymium block magnet. 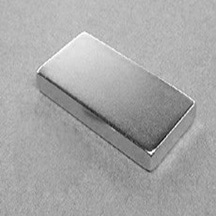 Store the smbn0574 neodymium block magnet at least one meter away from your body.